The concept of “self-care” has picked up a lot of speed lately, and for good reason. We collectively strive for good physical and mental health, quality time in nature, and fulfilling moments with family and friends. All of this is to help guarantee quality – and quantity – of life. What if there was something easy enough to do a few times every week that basically assured your pet’s health and wellness? Aside from providing excellent nutrition and varied exercise opportunities, pet dental health improves and safeguards their day to day wellbeing. Without regular attention to their teeth and gums, periodontal disease can really throw a wrench into your pet’s long term health. Oral bacteria forms a thick substance called plaque on the teeth and gums. Minerals naturally occurring in saliva bond with plaque to form tarter, the hard coating that adheres to the teeth. That same bacteria is then trapped under the gums where it begins to destroy the tissue and structure of the teeth. Periodontal, or gum, disease is characterized by progressive inflammation of the supportive structures around the teeth. Gum inflammation (gingivitis), paired with deteriorating loss of bone and tooth structures, is to blame for the lost, broken, or missing teeth of many pets. Of the four stages of periodontal disease (stage 4 being the most severe), more than 80% of all cats and dogs over the age of 4 have at least one. Pet dental health is incredibly important, but not just because it helps animals live a longer, healthier, and more comfortable life. Amazingly, good pet dental health helps to keep the vital organs in tip top shape. Otherwise, oral bacteria can seep into the bloodstream and wreak havoc in the kidneys, heart, and liver. A major tenet of pet wellness is routine dental care, and we always look inside your pet’s mouth during their yearly wellness exam. Because periodontal disease ravages the tissue beneath the gum line, we recommend regular cleanings, scaling, and digital x-rays under anesthesia. Many pet owners have understandable reservations about the process; we’ll be happy to share all the details with you. Damage from periodontal disease is irreversible, but we can work to resolve problems like infection, abscess, broken teeth, and more. 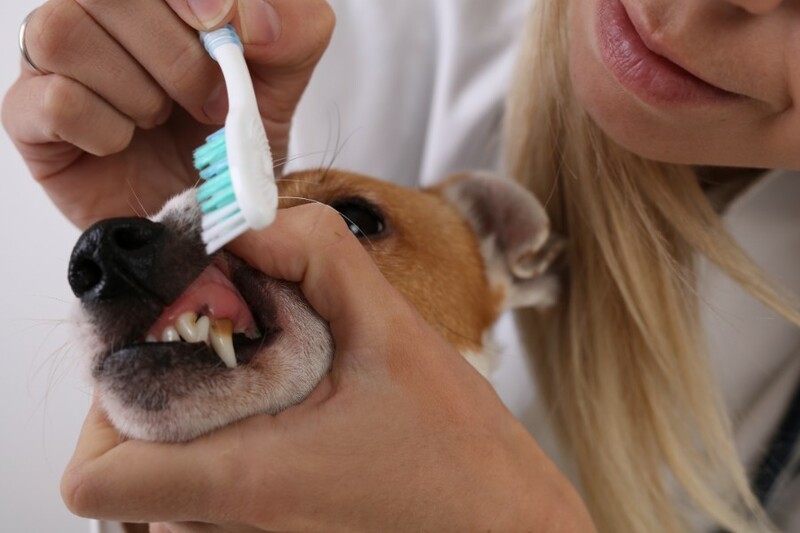 Regular brushing at home is critical to pet dental health. Chicken or seafood toothpaste can make the process more interesting to your pet. We can also help you with special diets, treats, rinses, or chews to help prevent plaque and tartar. If you have further questions about pet dental health, we encourage you to reach out to us at Volunteer Veterinary Hospital.